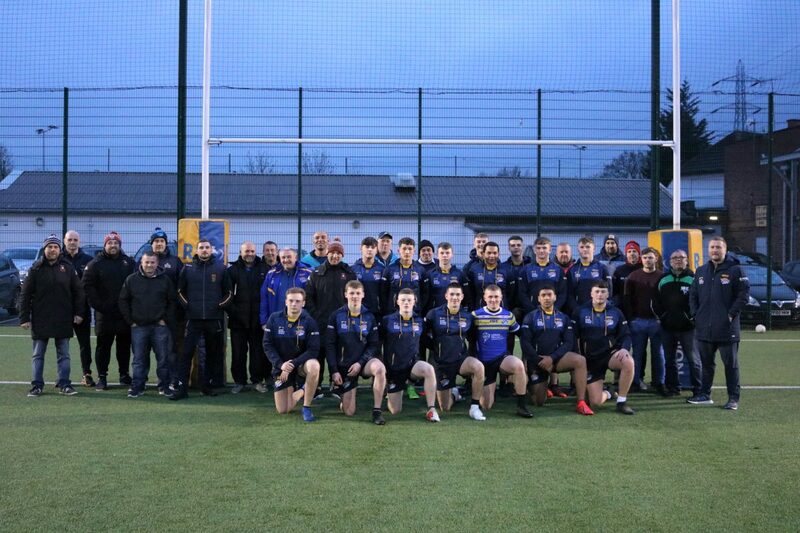 Community Coach Educator Mark Butterill joined Leeds Rhinos first team assistant coaches Chev Walker and Richard Agar to host Leeds Rhinos Foundation’s latest Coach Education workshop. Sixteen community rugby league coaches from Leeds Rhinos’ Ambassador clubs enjoyed the opportunity to observe a scholarship coaching session on offensive principles, delivered by the trio at Leeds Rugby Academy. Butterill, who is also head coach for the Rhinos Academy u16s side, explained why he was keen to support the programme following his own experiences within the community game. The Coach Education workshops are part of Leeds Rhinos Foundation’s Rugby League Development Plan, supported by MEARS, which aims to support the game at grassroots level through increasing participation and improving standards throughout the game. Sam Horner, Community Clubs Development Officer at Leeds Rhinos Foundation, also believes the programme is important for the growth of the sport in the city. “We’ve launched a new format for our Coach Education workshops this year and we’re lucky to have a fantastic set of performance coaches who allow this fantastic insight into how our professional club works and share good practice, in order to upskill the community coaches,” said Horner. “Our coach education programme has recently become even more enhanced, with Mark Butterill, in his new role as Community Coach Educator, going into community clubs to provide one-on-one support and personal mentoring. For more information on Leeds Rhinos Foundation’s Coach Education programme, please contact sam.horner@leedsrhinosfoundation.org.